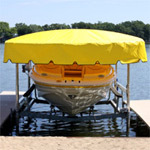 In the first portion of this article we discussed the basics of choosing a replacement boat lift canopy cover for your lift unit; the instances in which you may want an OEM canopy as apposed to an aftermarket product and the differences in determining what size canopy you may require. In this part, we will go deeper into each of the alternative cover materials available in the aftermarket category. We will discuss the construction methods, benefits and limitations to each as well as the proper conditions in which you would choose one material over another. The Shelter-Rite™ option is the heaviest of the three we will discuss. This American Premium Fabric is constructed from an 18oz/sq. yd., PVC coated polyester. 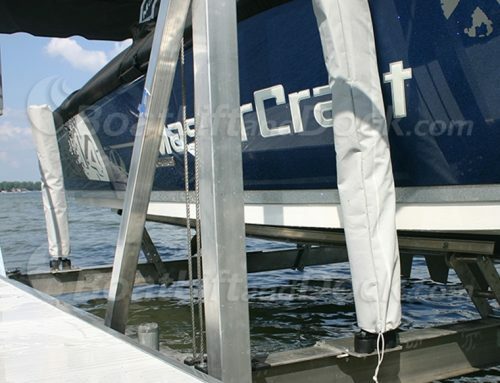 This canopy relies on the employment of heat welded seams and the extensive use of laminated thermoplastics to achieve the necessary dimensional stability and environmental resistance required in marine applications. The strong edges or welds of this canopy material are made by the overlapping of the thermoplastic layers and the application of pressure at the seams; molecularly bonding the two edges. Due to the PVC coating, this material has little to no breathability, yet this fact makes the Shelter-Rite™ canopy essentially waterproof, allowing very little wicking or moisture penetration. The Shelter-Rite™ material is constructed with a very dense weaving pattern, making the material highly resistant to abrasion, mildew, and UV rays, as well as increasing the weight of the material. 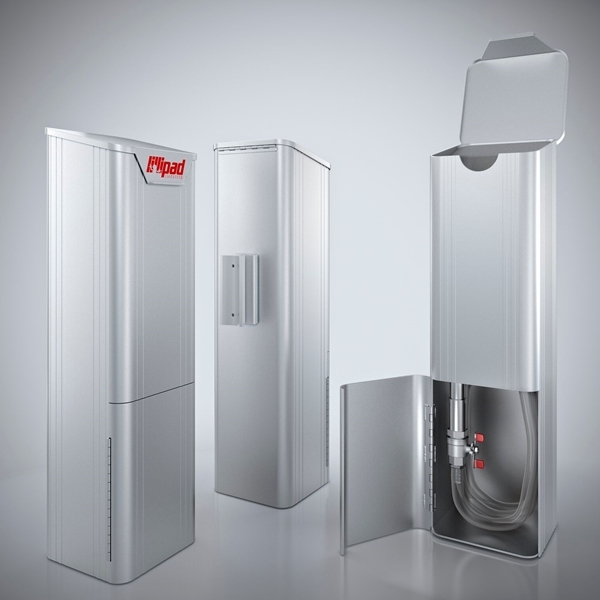 This product is designed for normal exposure in areas with seasonal variations in temperature and humidity. 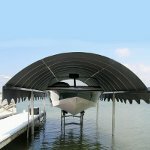 Shelter-Rite™ is industry recognized as the best vinyl material available as well as the most economical for marine applications; used in many OEM canopies. 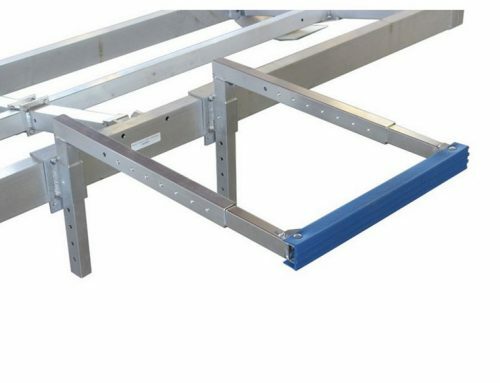 Shelter-Rite™ is one of the most common options selected by boat lift owners due to its strength of construction, life span, and cost, yet it does not have the resistance to fading that you will find in the WeatherMax™ or SeaMark™ materials. 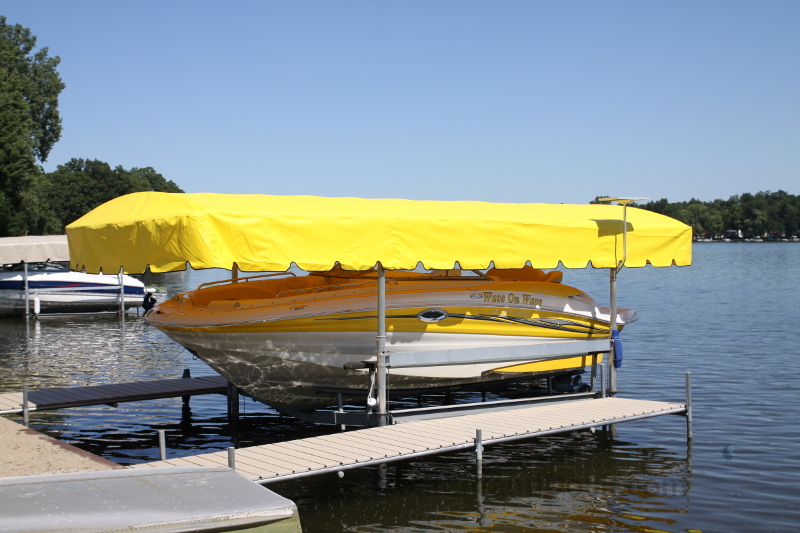 Despite its increased weight over other aftermarket option, Shelter-Rite easily out-performs many other vinyl materials in the aftermarket boat lift canopy market. Further, because of the increased thickness or layering of the Shelter-Rite™ material you will need to plan for a more involved installation, as the additional weight will require that you get additional assistance from your neighbors or family. 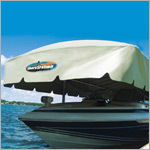 If the Shelter-Rite™ canopy material is the heaviest option, the WeatherMax™ would be the lightest. Coming in at only 8oz/sq. yd., WeatherMax™ canopies feature a light weight, breathable material that will hold its color, while resisting the cracking and mildew buildup that plague vinyl materials. This patented material offers a distinctive rich look and texture, giving it a very high end appeal similar to outdoor upholstered fabrics such as Sunbrella™. 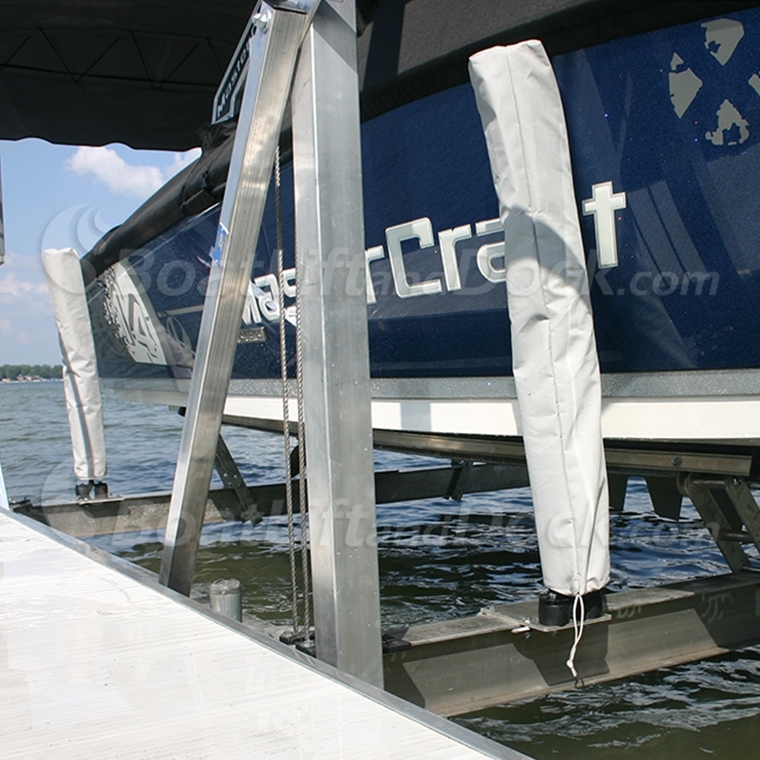 The WeatherMax™ aftermarket boat lift canopy has benefited from several patented and highly effective processes in its design and construction. The manufacturers of the WeatherMax™ canopy have used Sutura-Max™, solution dyed yarn and a unique HydroMax™ finish to increase the dimensional stability and environmental resistance of their light weight product. The WeatherMax™ material has been put through extensive testing to ensure its capacity to resist the elements and provide longevity. 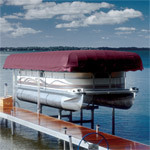 With 1500 hours of UV exposure or 5 years, this material features a limited warranty that offers increased protection against “loss of strength and/or color from normal conditions of exposure.” The unique design of this canopy, specifically the low weight of the WeatherMax™ material offers added benefits such as a much easier installation for you and the solution dyed material resists fading and is easily cleaned, increasing its appeal and lifespan. 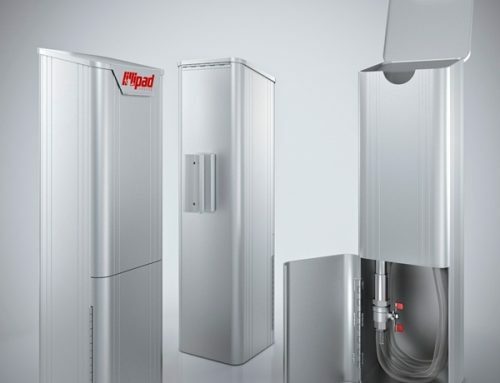 This material is ideal for applications in the southern states, as the high exposure and longer season translates into an increased usage, a factor that is missing in applications in more seasonally variant regions. 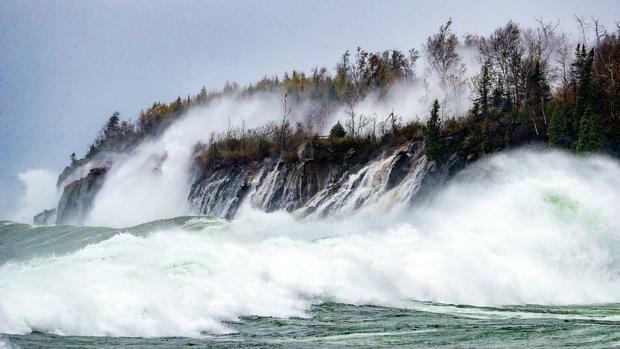 The down side to the WeatherMax™ material, if there is one that deserves mentioning; is the reduced strength and moisture resistance that has been reported by some buyers. 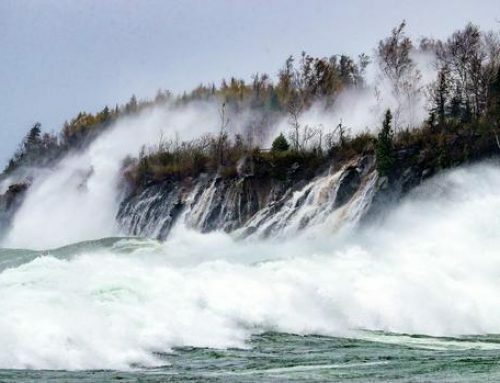 The lighter material is not as strong, that is, does not have as high a thread count as other materials, a factor that can lead to wicking and wind damage in some conditions. If you live along the coast or in an area that is prone to high wind, rain, salt water and UV conditions, then the best option would be the SeaMark™ canopy. Sea Mark™ vinyl canopies combine a solution dyed, woven acrylic fabric with Haartz™ vinyl, a combination of elements that lends this material a high degree of resistance to environmental extremes. 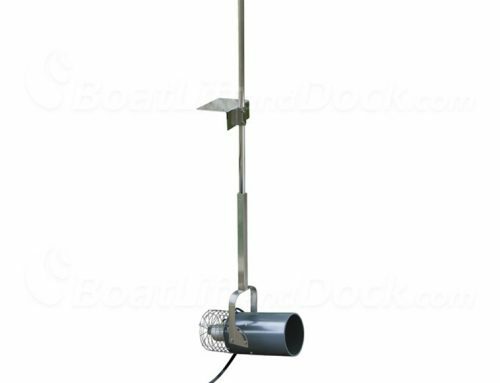 Designed for extreme conditions, this boat lift canopy option from SeaMark™ offers an increased resistance to water and moisture over the WeatherMax™ option. This material combines a high weight or thread count and the color fastness of a solution dyed acrylic with a double sewn top seam to create a 16oz/sq. yd vinyl material that outperforms any other vinyl canopy design when it comes to high exposure or extreme weather conditions. This material gives you the look of a high grade Sunbrella™ fabric and the strength and functionality of a heavy marine grade vinyl. 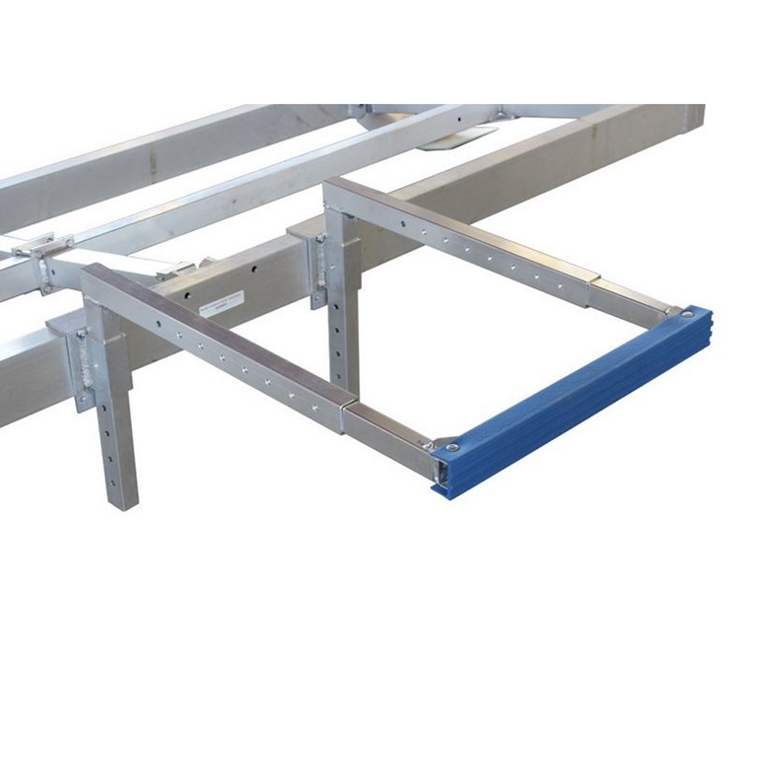 This is one of the more expensive canopies on the market and is designed specifically for high exposure conditions, so make sure that you need this kind of protection before you buy. We have attempted to give you the necessary information to make an informed decision about which canopy material to choose from, however, there is allot of other information that is brand specific and will be outlined in future articles. 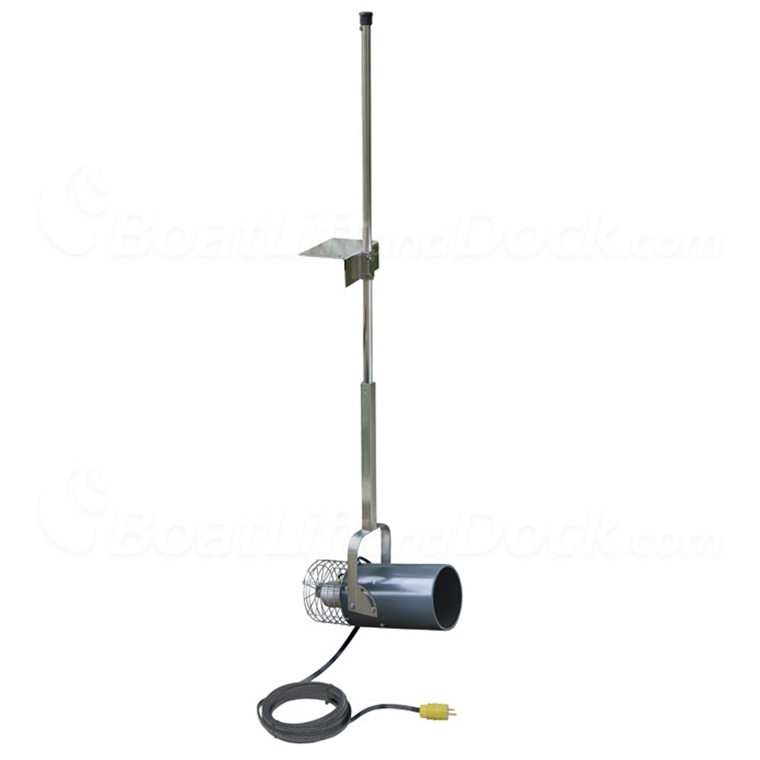 In the end you want your investment in the protection of your boat and lift to be a sound one and in view of this you need to consider as many variables as possible.